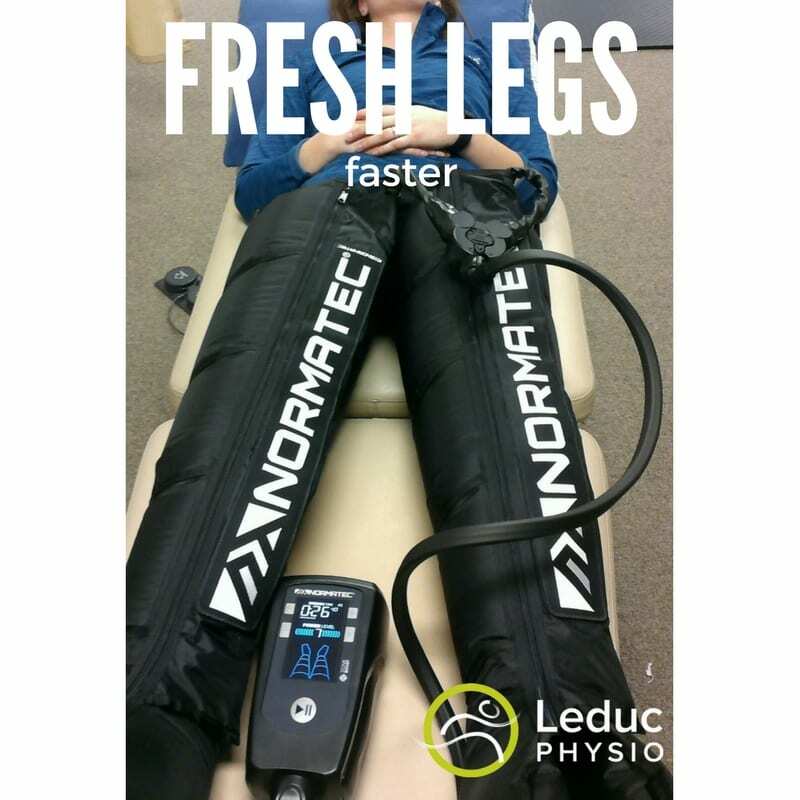 Leduc Physio - Physical Therapy and Massage Therapy ServicesPhysiotherapyPainWant to know the pro’s “secret” recovery weapon? Ever wonder why professional athletes seem to recover so quickly? Look no further that Normatec Recovery System. air to massage your limbs, mobilize fluid, and speed recovery with our patented NormaTec Pulse Massage Pattern. 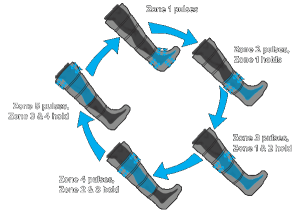 When you use our systems, you will first experience a pre-inflate cycle, during which the connected attachments are molded to your exact body shape. The session will then begin by compressing your feet, hands, or upper quad (depending on which attachment you are using). Similar to the kneading and stroking done during a massage, each segment of the attachment will first compress in a pulsing manner and then release. This will repeat for each segment of the attachment as the compression pattern works its way up your limb.